NFP beat provides sweet spot for US stocks? 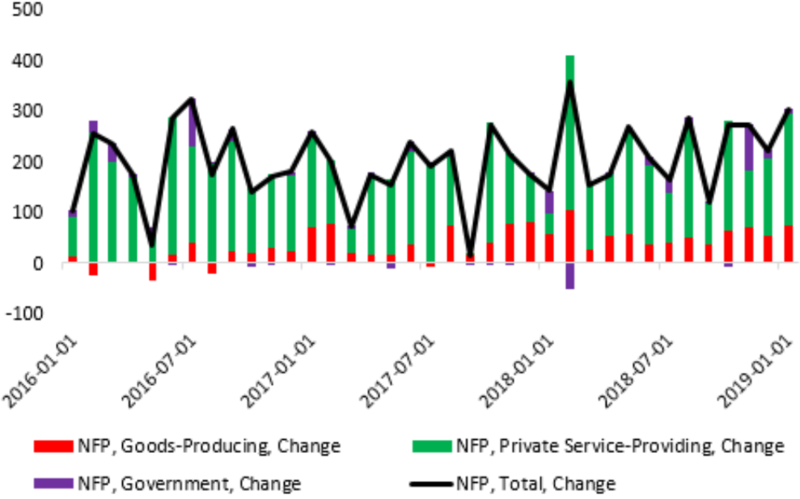 Given the Fed’s reiterance on Wednesday that they remain data dependent, today’s US job report was viewed even more closely, and the central bank will have liked what they saw. The headline employment change of +304k represents another blow-out beat and was well above the 165k expected. This number is still clearly positive despite the prior reading being revised lower by 90k - the biggest since 2014 - and now stands at 222k from 312k previously. Even with the revision the figures represent the best 4 months of jobs growth since September 2016. The rise marks the 100th consecutive month of job creation in the US, going back to October 2010 and is more than twice as long as the next longest stretch of continuous employment growth, which was the 48 months ending in June 1990. The unemployment rate ticked up to 4% from 3.9% prior, with the U6 unemployment rate, which includes discouraged workers, rising 0.5% to 8.1%. These increase are likely caused by the government shutdown which we also noted in yesterday’s spike higher in the initial jobless claims. The labor force participation rate rose to its highest level since September 2013 at 63.2%, and suggests a further tightening in the labour market. While the jobs data is no doubt pleasing, the US has been very strong on this front for several years and therefore not too much has changed. 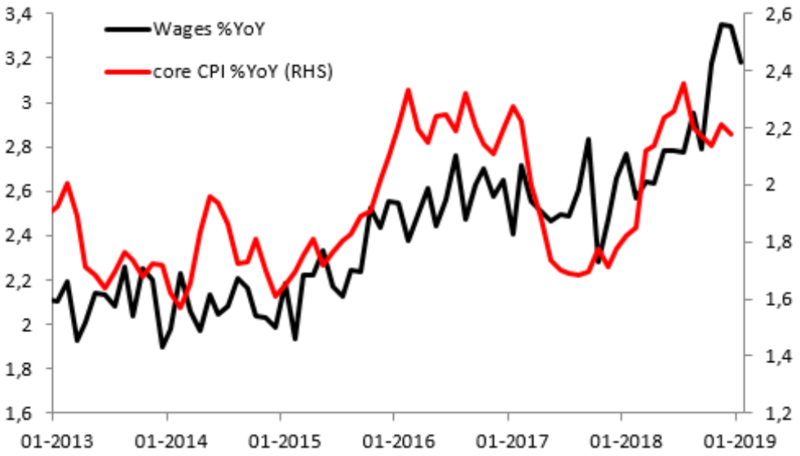 Wages have been seen as a more important metric of late, due to the more direct relationship between earnings and inflation and the latest figures showed average hourly earnings rising by 3.2% Y/Y. This was inline with both the expected and the prior reading. In M/M terms this was a little softer, with a print of +0.1% vs +0.3% expected, although the prior was revised up by 10 basis points to 0.4%. Even though this represents 4 consecutive months of 3%+ wage growth in Y/Y terms, there’s little here to suggest that it is in danger of sparking a big rise in inflation. Therefore the report on the whole could be seen to have hit a sweet spot for stocks, with the labor market still clearly very strong while there’s little suggestion that inflation will get out of control anytime soon. This could be seen to provide the Fed with some more scope, and allow them to keep a “patient” stance on future rate hikes for the time being. The S&P futures (US500 on xStation) remain in breakout territory after moving above 2676 following the dovish shift in the Fed on Wednesday. The near-term trend remains higher as indicated by price trading above the 8 and 21 EMAs, which themselves are in a positive orientation. Unless the market drops back below 2676 then the path of least resistance favours further upside and a break above daily highs of 2713 could open up the way for an extension higher.